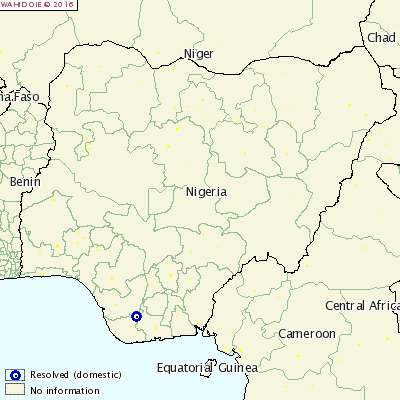 NIGERIA - Another outbreak of highly pathogenic avian influenza has been reported in the Rivers area. The H5N1 outbreak killed 1300 32-week-old layers and 700 other were destroyed. Officials commented that the farm involved had poor biosecurity measures. Measures in place to control the disease include movement controls, disinfection, quarantine and surveillance.